How do I install the server component. /General /How do I install the server component. 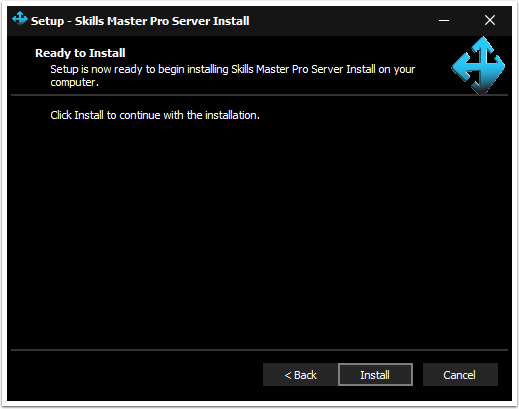 Installing the server component for Skills Master Pro. Having downloaded the server installer, you will need to install the files required to build the database etc. 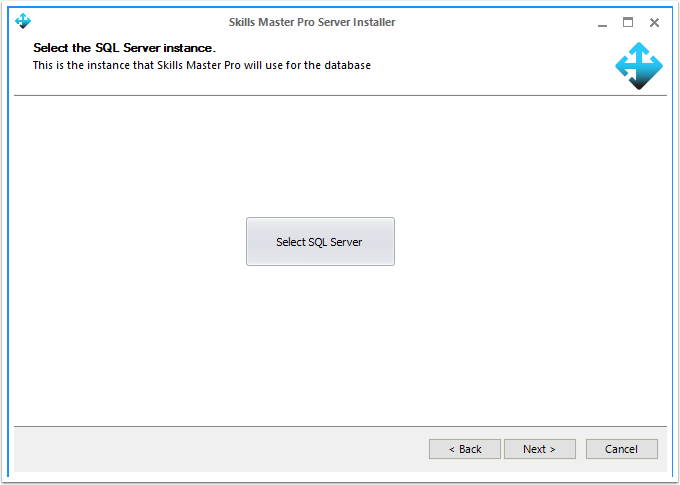 Please ensure that the user carrying out the server install has sufficient privileges to the SQL server. Click install to install and register the required libraries. Click Finish to invoke another wizard that will build the Skills Master Pro database. 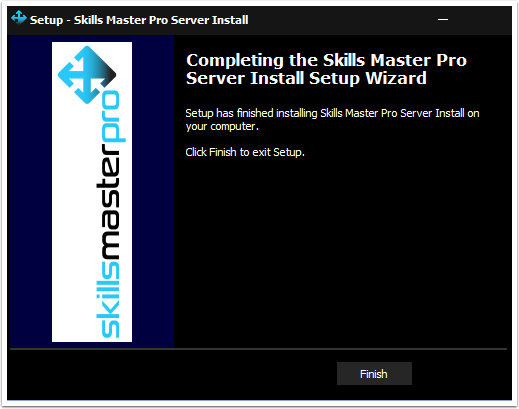 Introduction to the Skills Master Pro server install wizard. Clicking Next will invoke the SQL server selection. Selecting a SQL Server instance. Select the required SQL server instance from the dropdown. This can take a few seconds to populate depending on the number of instances available and the speed of your network. This ensures that the instance is ready for use. Please ensure that the user carrying out the server install has sufficient privileges. 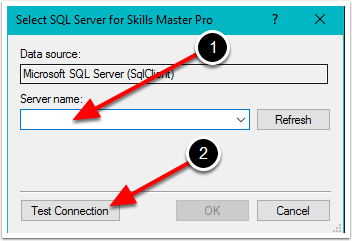 If you decide that you need to use a different instance, click Select SQL Server to invoke the previous dialogue. 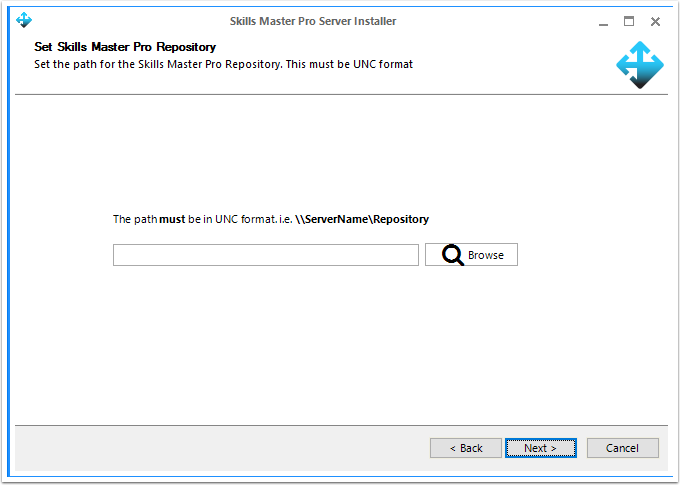 The repository path is where Skills Master Pro will store all documentation. 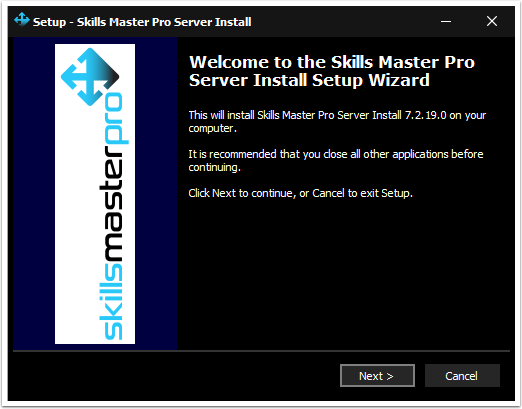 This folder is only accessed by Skills Master Pro. All users will need at least read and write access to this folder. The folder path must be in UNC format. 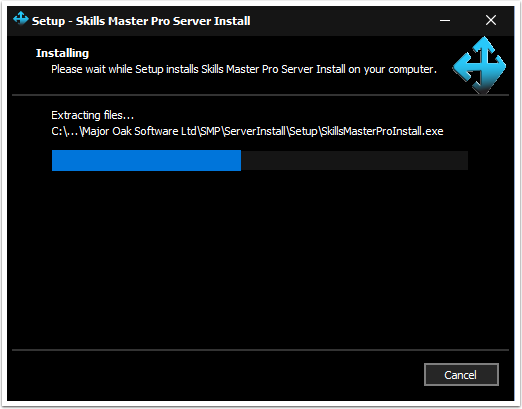 This is the folder where Skills Master Pro is installed from at the client. This folder also contains the license information. All users will need at least read and write access to this folder. 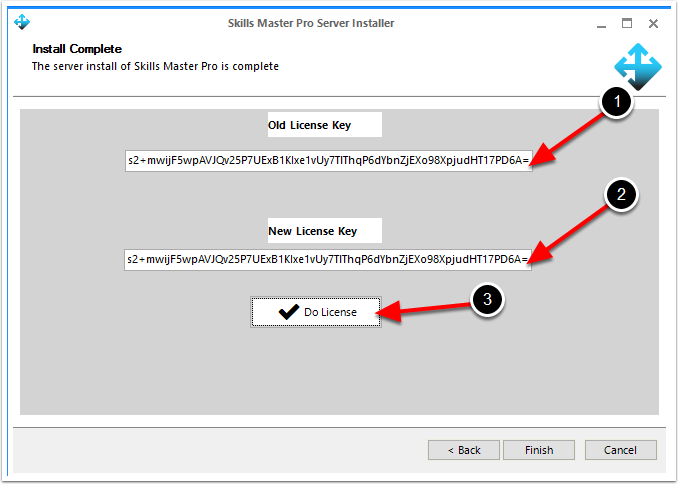 The setup wizard will build a temporary licence key for 5 users. This license must be replaced with the purchased license key. As the license key is tied to your server, the new key must be requested via email. Set up user permissions on your SQL Server. The wizard will create a database named "Skills" on the instance you selected. 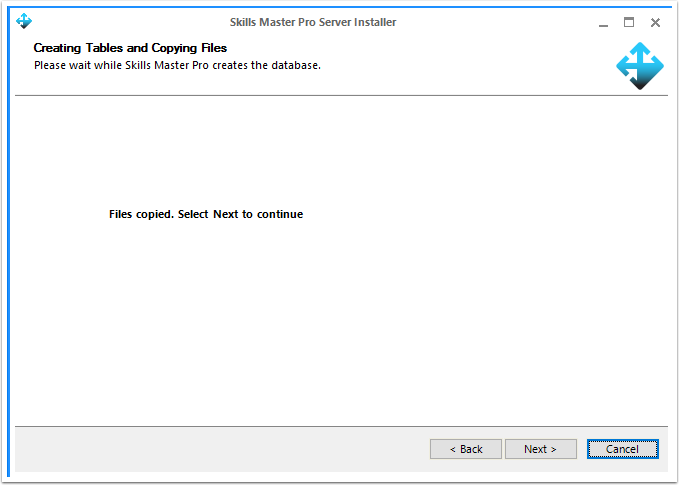 All Skills Master Pro users will require at least db_reader and db_writer for this database. 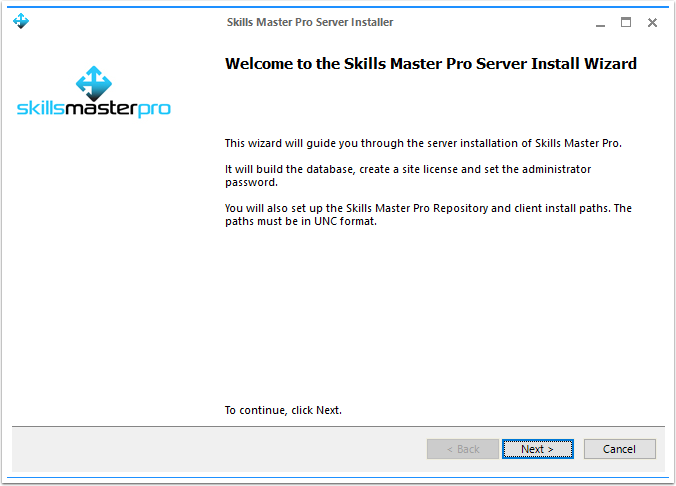 At least one person, allocated as a Skills Master Pro administrator, will need to be db_owner. This will allow this person to do any Skills Master Pro updates in the future. Setting SQL Server permissions is beyond the scope of this document. 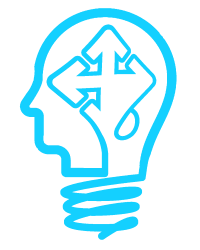 If you require assistance please email support@skillsmaster.co.uk.